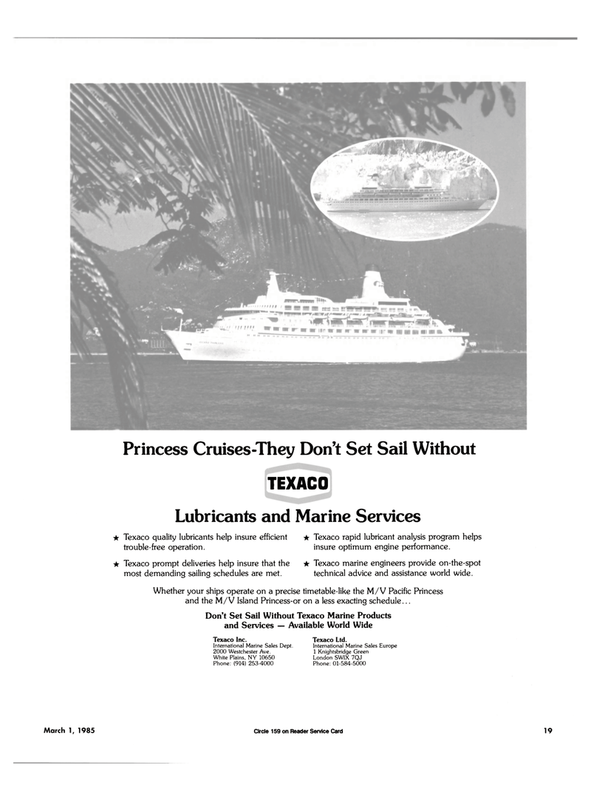 Lubricants and Marine Services * Texaco quality lubricants help insure efficient * Texaco rapid lubricant analysis program helps trouble-free operation. insure optimum engine performance. * Texaco prompt deliveries help insure that the • Texaco marine engineers provide on-the-spot most demanding sailing schedules are met. technical advice and assistance world wide. Marine Services Marine Available World Wide Tcxaco Inc.